IFC and Incapital roll out bond program, while Solactive introduces a green bond index. New products introduced over the last week include a new international high-yield bond fund from State Street Global Advisors, two Guru ETFs from Global X Funds; a green bond index from Solactive; the “Impact Notes” bond program from IFC and Incapital; and a long-term care insurance product with flexible payment options from Lincoln Financial Group. In addition, Cambria ETF Trust launched a global-value ETF; First Trust added two ETFs; and New York Life Retirement Plan Services’ stable value products were added to TD Ameritrade’s platform. State Street Global Advisors (SSgA), the asset management arm of State Street Corporation, has announced the launch of the SPDR Barclays International High Yield Bond ETF (IJNK). The ETF is designed to provide investors with access to high-yield corporate bonds outside theU.S., which may have lower correlations and default rates to comparable domestic options. IJNK seeks to track the performance of the Barclays Global HY ex-US Domiciled 350mn+ Cash Pay Index, which is designed to be a measure of the international high-yield fixed-rate, fixed-income corporate markets outside theU.S.The securities in the index must have a minimum $350 million market capitalization outstanding in local currency terms and at least one year remaining to maturity. Additionally, securities must be rated high yield (Ba1/BB+/BB+ or below) using the middle rating of Moody’s Investors Service, Standard & Poor’s and Fitch. Excluded from the index are convertible securities, floating-rate notes, fixed-rate perpetuals, warrants, linked bonds and structured products. IJNK’s expense ratio is 0.40%. First Trust Advisors L.P. has announced the addition of two ETFs, the First Trust RBA American Industrial Renaissance ETF (AIRR) and the First Trust RBA Quality Income ETF (QINC). The index construction for both funds is based on Richard Bernstein Advisors’ (RBA) proprietary portfolio optimization method, which encompasses a variety of screens and factors and the firm’s macroeconomic analysis and judgment. AIRR seeks investment results that correspond generally to the price and yield (before the fund’s fees and expenses) of the Richard Bernstein Advisors American Industrial Renaissance Index. QINC seeks investment results that correspond generally to the price and yield (before the fund’s fees and expenses) of the Richard Bernstein Advisors Quality Income Index, which attempts to control the risks associated with investing in higher-yielding stocks, yet maintain attractive current income. Global X Funds has announced the launch of the Global X Guru Small Cap Index ETF (GURX) and the Global X Guru International Index ETF (GURI). GURX, which tracks the Solactive Guru Small Cap Index, will invest in 100 equally weighted companies with a market capitalization between $100 million to $3 billion. GURI, tracking the Solactive Guru International Index, will invest in the top international holdings from this group of managers. GURI will have 50 equally weighted holdings and gain its international exposure through ADRs and other international companies listed on 13Fs. Cambria ETF Trust and its investment manager Cambria Investment Management LP have announced the launch of the Cambria Global Value ETF (GVAL), a passively managed, strategic-beta ETF that tracks the Cambria Global Value Index. GVAL is comprised of 100 stocks that represent the world’s 11 most undervalued developed and emerging countries, as determined by the index provider. World Bank Group member IFC and Incapital LLC are launching a program that allowsU.S.individual investors to buy triple-A-rated IFC bonds and support private sector development in emerging markets. The financial instrument, known as IFC Impact Notes, is an alternative to securities issued by government-sponsored enterprises (GSEs). IFC Impact Notes, which have the potential to offer more attractive yields than U.S. Treasuries with equivalent maturities, are 5-year, non-call 6-month step-up callable notes, starting with 1% in year one and growing to about 4% in year five. Notes will be denominated in U.S. dollars. IFC raises funds in the global capital markets to support its lending in emerging markets. Focusing on the private sector, IFC invests to support job creation, access to health care, education, food, infrastructure, and finance, and other development priorities. IFC’s current annual funding program is $16 billion across a range of markets and currencies, with U.S. dollar borrowings accounting for most of the funding activity. Lincoln Financial Group has announced its latest long-term care offering, MoneyGuard II, which offers benefit and payment structures that can be tailored to client-specific needs. Clients have the option to spread premiums over multiple years, and can select a variety of payment patterns, from single pay to over 10 years. MoneyGuard II provides income-tax–free reimbursements for qualified long-term care expenses, an income-tax–free death benefit if care is not needed, or return of premium (ROP) options. Clients can also select an 80% ROP option at issue. Also included are enhanced international benefits and a discount for couples who are married or in a civil union or domestic partnership legally recognized by their state of residence. The couples discount is available even if both individuals do not apply. New York Life Retirement Plan Services has announced that its Guaranteed Interest Account (GIA) and Anchor stable value solutions have been added to TD Ameritrade Trust Company’s (AMTD) defined contribution investment lineup. GIA is a general account group annuity contract invested in a diversified fixed income portfolio that seeks to provide a low-risk, stable investment option to retirement plan participants at competitive rates. Anchor is offered both as a pooled separate account group annuity and as a collective investment trust (CIT), also invested in a diversified fixed income portfolio with an insurance wrapper provided by New York Life. Solactive AG has launched the Solactive Green Bond Index, which provides exposure to green bonds, based on a universe provided by the Climate Bonds Initiative. Green bonds are now commonly defined as fixed-income securities that raise capital for a project with specific environmental benefits, where the proceeds go to climate mitigation or adaptation efforts. The index universe is composed of all bonds that are categorized as green bonds, according to the Climate Bonds Initiative. To be included in the index, bonds must have an amount outstanding of at least $100 million and a minimum remaining time to maturity of 6 months. Convertible bonds and inflation-linked bonds are excluded. 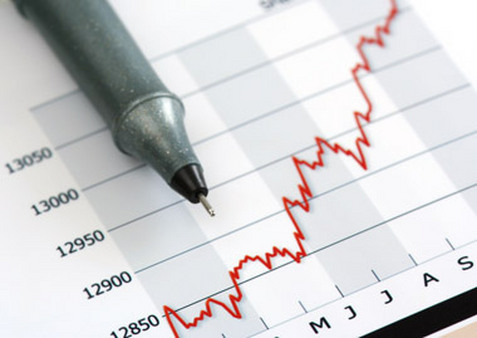 All bonds are weighted according to their market value with a maximum of 5% per bond. Read the Mar. 8 Portfolio Products Roundup at ThinkAdvisor.